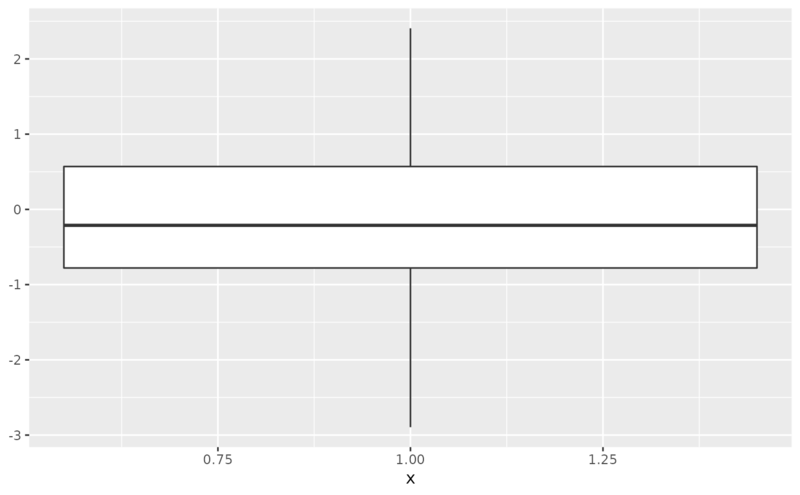 The boxplot compactly displays the distribution of a continuous variable. It visualises five summary statistics (the median, two hinges and two whiskers), and all "outlying" points individually. Default aesthetics for outliers. Set to NULL to inherit from the aesthetics used for the box. In the unlikely event you specify both US and UK spellings of colour, the US spelling will take precedence. 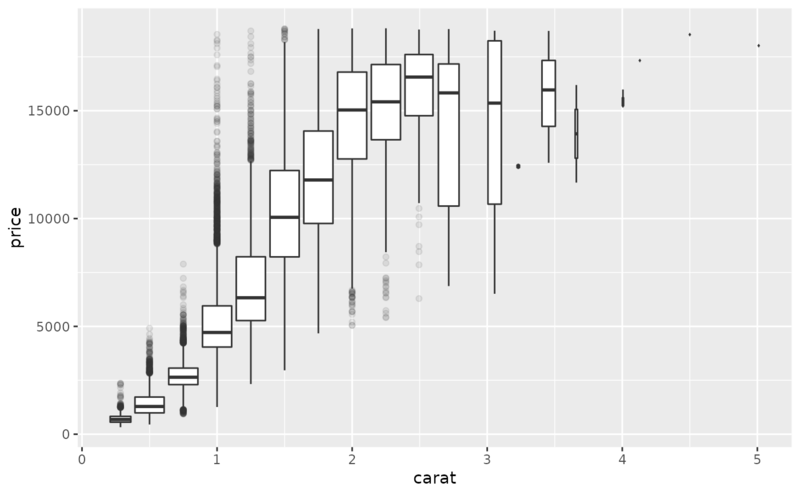 Sometimes it can be useful to hide the outliers, for example when overlaying the raw data points on top of the boxplot. 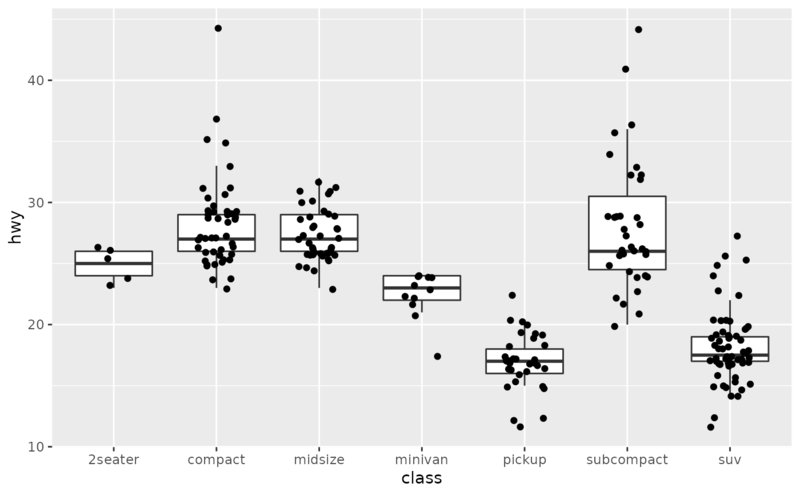 Hiding the outliers can be achieved by setting outlier.shape = NA. Importantly, this does not remove the outliers, it only hides them, so the range calculated for the y-axis will be the same with outliers shown and outliers hidden. 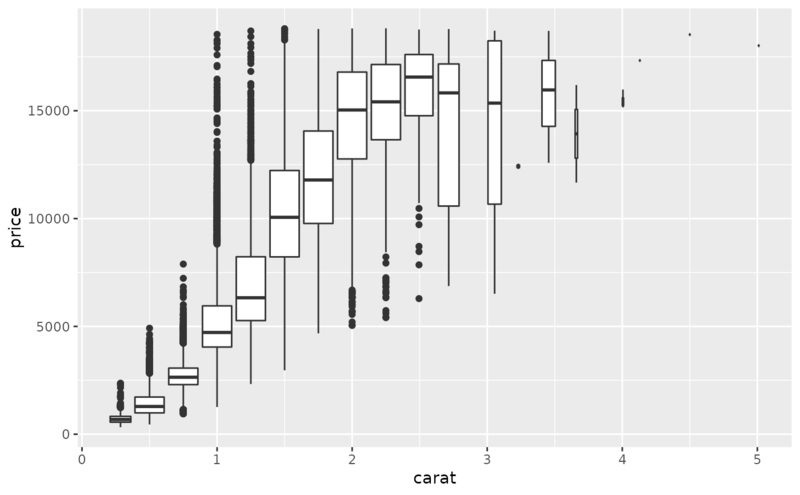 If FALSE (default) make a standard box plot. If TRUE, make a notched box plot. Notches are used to compare groups; if the notches of two boxes do not overlap, this suggests that the medians are significantly different. For a notched box plot, width of the notch relative to the body (defaults to notchwidth = 0.5). 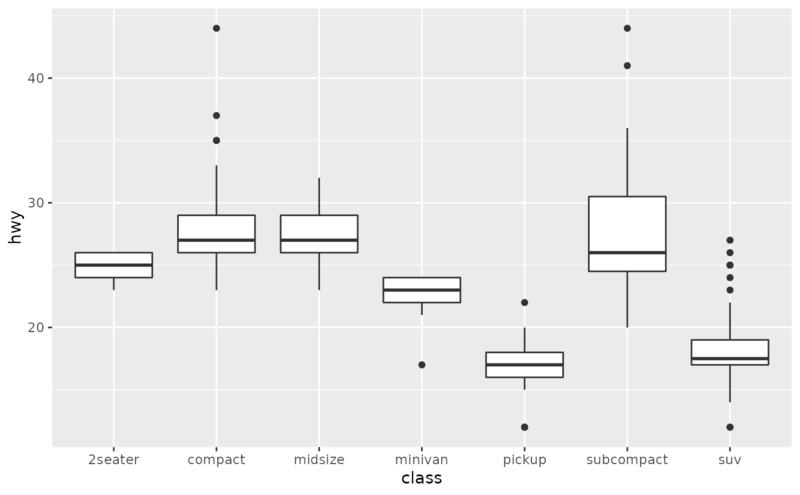 If FALSE (default) make a standard box plot. If TRUE, boxes are drawn with widths proportional to the square-roots of the number of observations in the groups (possibly weighted, using the weight aesthetic). 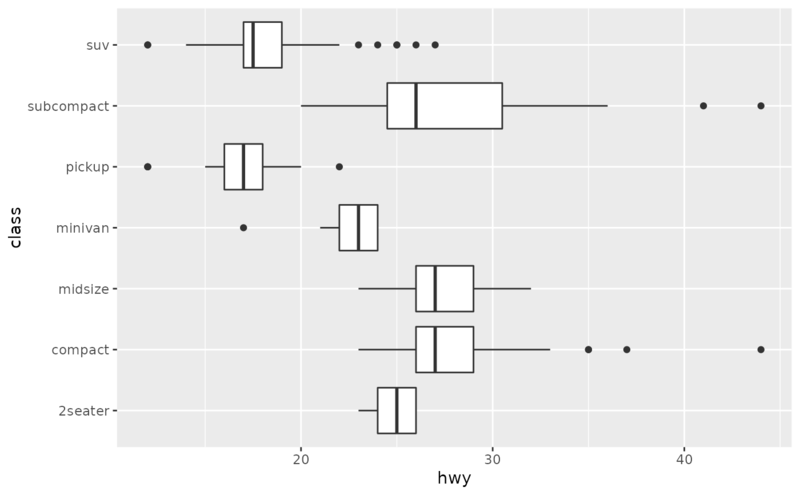 Use to override the default connection between geom_boxplot and stat_boxplot. Length of the whiskers as multiple of IQR. Defaults to 1.5. The lower and upper hinges correspond to the first and third quartiles (the 25th and 75th percentiles). 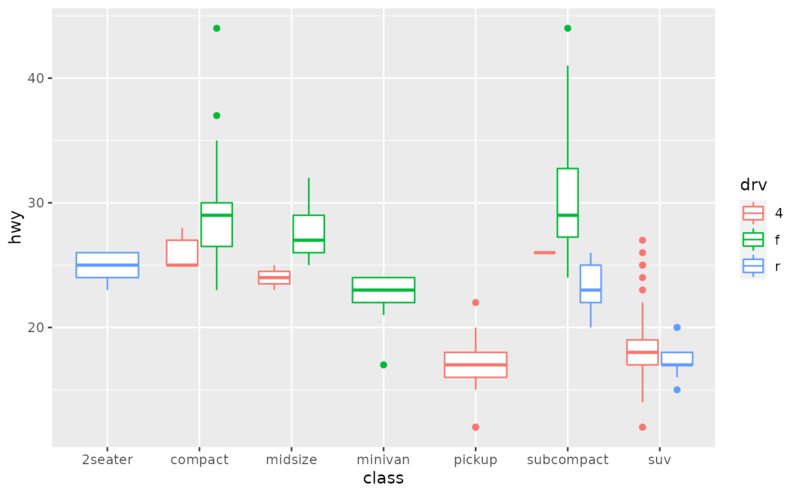 This differs slightly from the method used by the boxplot() function, and may be apparent with small samples. See boxplot.stats() for for more information on how hinge positions are calculated for boxplot(). The upper whisker extends from the hinge to the largest value no further than 1.5 * IQR from the hinge (where IQR is the inter-quartile range, or distance between the first and third quartiles). The lower whisker extends from the hinge to the smallest value at most 1.5 * IQR of the hinge. Data beyond the end of the whiskers are called "outlying" points and are plotted individually. In a notched box plot, the notches extend 1.58 * IQR / sqrt(n). 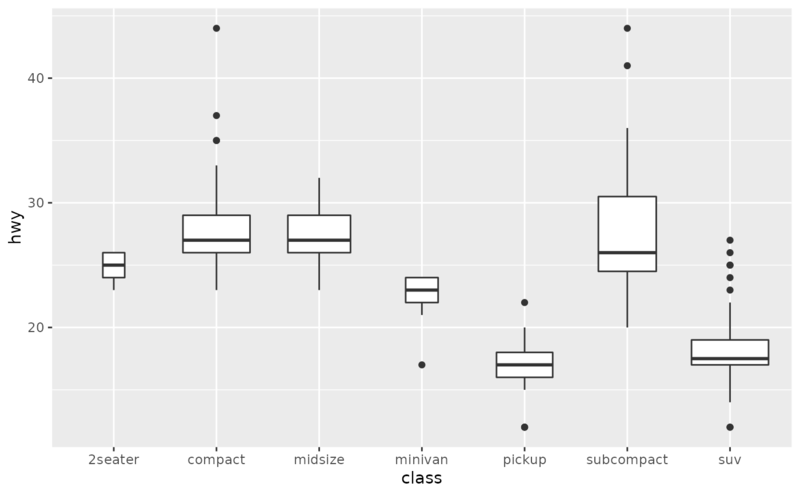 This gives a roughly 95% confidence interval for comparing medians. See McGill et al. (1978) for more details. 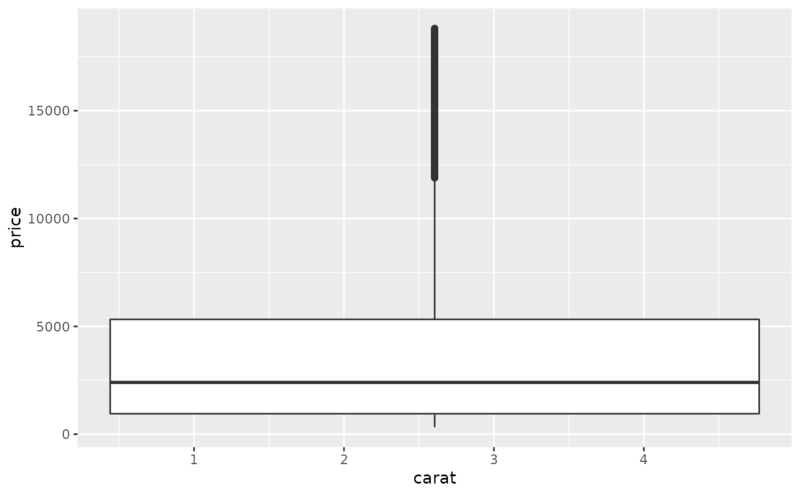 geom_quantile() for continuous x, geom_violin() for a richer display of the distribution, and geom_jitter() for a useful technique for small data. #> notch went outside hinges. Try setting notch=FALSE. #> Warning: Continuous x aesthetic -- did you forget aes(group=...)?